TALLAHASSEE, Fla. - Florida voters next year could be asked to once again dive into a never-ending tug-of-war over medical malpractice lawsuits. Voters more than decade ago overwhelmingly agreed that what are known as “adverse medical-incident reports” should be made available to patients, but now there's a move underway in Tallahassee to limit access to them. Tim Cerio, a member of the state Constitution Revision Commission and former general counsel to Gov. Rick Scott, has filed a proposal that would amend the state Constitution to place limits on what types of records could be used in lawsuits filed against doctors, hospitals and other health-care providers. Cerio said he doesn't want to thwart the public's access to the records, which play a key role in medical malpractice cases, and said he is considering altering his proposal to narrow it. Voters in 2004 approved a constitutional amendment, Amendment 7, that gave patients the right to have access to records of health-care providers' adverse incidents. The Constitution Revision Commission, which meets every 20 years, can put proposed constitutional changes directly on the 2018 ballot. Cerio's proposal on adverse-incident reports is one of dozens the commission will consider during the coming months. Cerio maintains recent Florida court rulings have broadened the initial intent of Amendment 7 to the point where it now interferes with hospitals' abilities to prepare for litigation. The Florida Supreme Court this year issued opinions in two cases related to the public's right to the information. In October, the Supreme Court overturned a decision by the 2nd District Court of Appeal that would have allowed Bartow Regional Medical Center to avoid turning over records that were prepared -- at the request of the hospital's counsel -- outside of the ordinary peer-review process and in anticipation of litigation. In January, the Supreme Court held in a separate case that a 2005 federal patient-safety law did not shield Baptist Health System in Jacksonville from turning over adverse medical-incident reports. 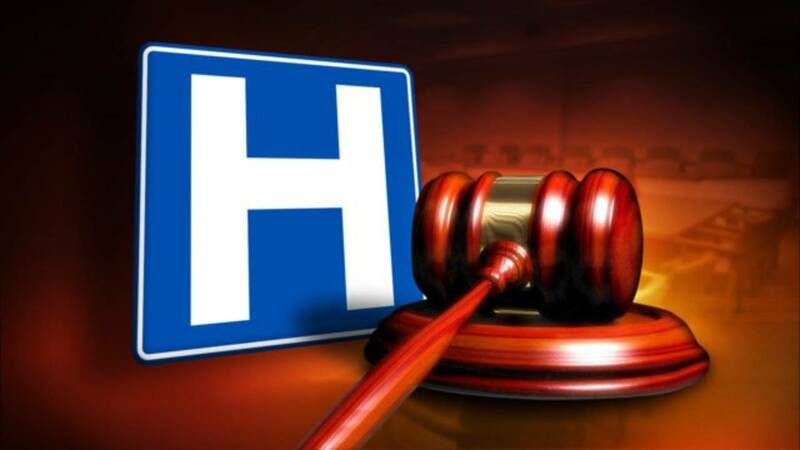 The hospital appealed the ruling to the U.S. Supreme Court, which declined to take up the case. Lobbyist Jan Gorrie, who represents hospitals, said patient safety transcends all other issues and given the U.S. Supreme Court's refusal to hear the Baptist Health case, now is the time to reconsider the information that should be available to patients and prospective patients under Amendment 7. “If your institution didn't do something right, you want them to take a serious self-examination, which to some degree won't happen if they don't have these processes protected,” said Gorrie, with the Ballard Partners firm. Medical malpractice has long been a highly contentious legal and political issue. On one side of the debate are medical providers and insurance companies, which have tried to limit the ability of injured patients to sue. On the other side are trial attorneys who oppose attempts to limit access to the courts. At the behest of then-Gov. Jeb Bush who declared there was a medical-malpractice “crisis,” the Legislature in 2003 passed a number of changes meant to limit lawsuits that could be filed against providers. Moreover, the legislation, which Bush signed into law, also placed limits on the amount of money injured patients could collect in malpractice cases for pain and suffering. The law, though, fell short of what the medical community and insurance companies sought and was more restrictive than what trial attorneys wanted. Dissatisfied, both sides pushed proposed constitutional amendments in 2004. The Florida Justice Association, made up of trial lawyers, backed two proposed constitutional amendments that year; Amendment 7, which gave patients a right to adverse medical-incident reports, and Amendment 8, which prohibited physicians who have been found to have committed three or more incidents of medical malpractice from being licensed to practice in Florida. Amendment 7 passed with 81 percent approval, while Amendment 8 was approved by 71 percent. Amendment 3, supported by health-care providers, capped the amount of money attorneys could collect in medical malpractice cases. It passed with nearly 64 percent approval. Gowdy agreed with Cerio that there's been a “history of litigation” since Amendment 7. But unlike Cerio, Gowdy maintained that the Florida Supreme Court's decisions have been accurate.